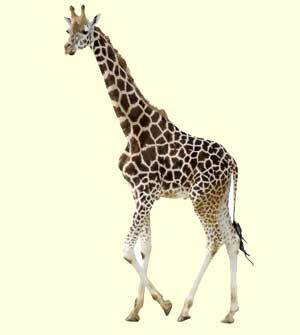 Giraffes are the tallest land animals in the world. They are native to Africa and belong to the order artiodactyls or even-toed ungulates. Information about giraffes. Anatomy, feeding, habitat, evolution, predators and many more topics that all followers of these beautiful animals should know. There are four beautiful species that embellish the African landscapes, and although they are similar to each other, each one has its own characteristics that with a little attention we can learn to differentiate. The relationship between Homo sapiens and giraffes is shaped by conservation actions, scientific investigations, illicit conflicts and cultural representations. All the information about Giraffes. Anatomy, Reproduction, Habitat, Evolution, Conservation, among other topics. Masai, Reticulated, Northern and Southern species and Nigerian and Rothschild’s subspecies. Giraffes are mammals that belong to the order Artiodactyla and the Giraffidae family, which also includes the Okapi, an animal that shares certain characteristics with the giraffe but with a very different appearance. Most of us have heard a lot about giraffes, and we have enjoyed watching their impressive size in zoos. We know that they have great height, are native to Africa and that its most iconic characteristic is its long neck that serves them to reach the top of the trees when looking for food. Giraffes are the tallest terrestrial animals in the world. They have a pair ossicones or horns covered with skin and a short vertical mane that goes from the head to the hump at the end of the neck. They measure up to 6 m in height and weigh a maximum of 2,000 kg, dimensions which combined with their coat give them a unique and beautiful look. Each species and subspecies that live today have a fur design different from each other, and, even more, each giraffe has a unique pattern that never repeats in another individual, just like our fingerprints. There is no way to mistake a giraffe for any other animal out there in the world. The tall and lanky body covered in spots is very unusual and an animal that most people enjoy seeing. In fact, they are one of the most visited animals at zoos around the world. Every single giraffe in the world has a unique pattern of spots. They can be used to help researchers identify them both in the wild and in captivity. These spots vary in size, shape, color and separation between each species. The heart of the giraffe is about 22 pounds and 2 feet long. Giraffes have 7 vertebrae in their necks. The heart of a giraffe weighs about 22 pounds and can reach up to 2 feet long. Giraffes have only seven vertebrae in their necks, just like humans. They are the tallest animals in the world, reaching a height up to 6 meters. The tongue of giraffes is black and can measure up to 50 cm. The explanation about why evolution provided giraffes with such a long neck still keeps scientists debating about it. Since the times of Jean-Baptiste Lamarck and Charles Darwin, some hypotheses have been stated to explain why giraffes developed such characteristic that other non-herbivorous animals didn’t. Although there are several theories, none is fully accepted by the scientific community. It has been some controversy during the recent years, regarding the taxonomic classification of the Giraffe. For many years it was considered a single species with up to nine subspecies, but latest technologies like mitochondrial and nuclear DNA analysis are changing the taxonomy classification of some species, and giraffes are not the exception. Even before this kind of analysis, there were another proposals to reclassify the giraffes, but in 2016 a new classification based on DNA studies was defined which includes four species. NOTE: It is important to mention that some sources, even reliable, still have the one species classification which is different from the one above. Although most people think that giraffes are among the quietest animals in the world, they do make some basic sounds but not very often. Additionally, most of their communication takes place at frequencies that are so much lower than the human hearing capability. For a long time, people thought that giraffes did not produce sounds because they do not have vocal cords, but this inaccurate. Giraffes communicate through sounds according to the situation they are facing, but they also produce infrasounds, that is, resonances that are not audible to humans, something that probably originated the myth. These animals form social groups where the females get along very well in their herds. However, the males are extremely competitive though for who will earn the right to mate with the females a privilege defined through fights where bulls entangle their long and powerful necks until one surrender. Giraffes are very gentle animals, and they tend to do very well sharing with other plant eaters in the wild the same feeding grounds. When there is plenty of food up high in the trees, they will consume it first, so the others do not represent any competition for them. They sleep only about 4.6 hours per day, intermittently during the night. They almost always remain in an upright position while resting except the weak and the very young. Another interesting feature of giraffes is their defense mechanism. If giraffes are not aggressive, how do they defend themselves? Just see the thickness and strength of their legs, and you will have the answer. The kick of a giraffe is powerful and lethal, and it is how they defend from their predators. Even the fearsome Lions avoid such impacts because they could die if reached by a direct kick from a giraffe. Mothers, evidently, do everything to protect their defenseless offspring, that are more vulnerable to the attacks of predators. While giraffes don’t have to worry too much about predators as adults, only between 25%-50% of their offspring make it to maturity because of lions, hyenas, leopards, wild dogs and other predators. That combined with the fact that they have a very long gestation period of more than a year make difficult to recover the populations. Leopards, hyenas, and crocodiles are other dangers that giraffes, especially the young and sick have to face, and although they often win the battles, the giraffes are not an easy prey. In fact, they usually target the offspring and only attack the adults when they have no choice because it is a high risk of death. Giraffes can successfully live in the wild for about 20 to 25 years with the right conditions. Their unusual size is not enough to avoid the negative consequences of the activities of man. Some subspecies of giraffes are in danger of extinction due to poaching, habitat degradation and lack of government conservation plans to regulate such acts and promote the respect and preservation of their life. Even in protected areas, ruthless poachers kill the parents leaving their offspring without any chance of survival. The places where giraffes live are more fragmented every day, and the populations keep reducing which is an alarming indicator about their conservation. Botswana, Zimbabwe, Somalia, Namibia and Kenya and Niger are some of the countries that host giraffe subspecies. The habitats where they dwell are savannas, grasslands, shrublands and open forests that, due to human activities, are gradually degrading and disappearing. Fortunately, some organizations are responsible for safeguarding the life of African giraffes. They struggle day and night to educate, plan, organize, delegate, act and report on the work they do. The most fascinating of these programs is that we can be part of them too, either by joining as volunteers or contributing by informing about the progress that these groups make so that more people are aware of the situation and adhere to the cause. Giraffes are elegant, beautiful, noble and attractive animals that deserve all our protection before is too late. Why giraffes have such a long neck?